I’ve Submitted the FAFSA. Now What? 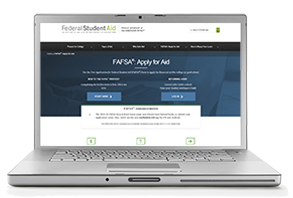 Completing the FAFSA is just the first step in applying for financial aid. After your application has been processed, you’ll receive a Student Aid Report (SAR). 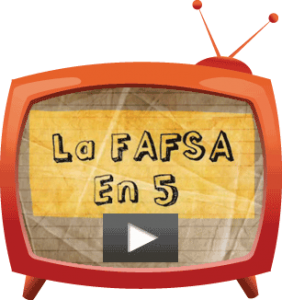 The SAR is a summary of all the information you entered on the FAFSA form. Included in the report will be your Expected Family Contribution (EFC), a number that helps determine your financial aid eligibility. When you receive the SAR, review it and make any necessary changes. You can make changes by logging into FAFSA.gov, accessing your original FAFSA application, and correcting your information. Don’t forget to resign and submit! 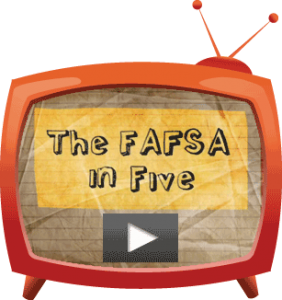 Once you’ve updated your FAFSA, your SAR will be sent to the schools that were listed on your application. If you’re selected for verification, schools will ask you to provide more documentation to confirm that you reported the correct information. Be sure to submit documents as soon as possible to the financial aid office. Colleges and universities will eventually send you award letters, notifying you of the amount of financial aid they’re able to offer you. Most award letters will be sent electronically, while a few others might come in the mail. Ask your campuses or choice how their notifications will be sent. The award letters will also tell you the cost of attendance. Carefully review those letters and only accept the aid you need. Always accept free money first: grants and scholarships. If you need to take out a student loan, only accept the amount you need to cover the cost of attendance. Be sure to compare different schools’ award letters as well. Consider the financial aid packages and the campus environment to decide which would be the best fit for you. Follow up with every campus you received an award letter from and let them know how much of the financial aid package you would like to accept. Check for deadlines! Each award letter will ask you to respond by a certain date or you could lose the aid offered. Remain in constant contact with the financial aid office to make sure you take all necessary steps to secure your financial aid award.